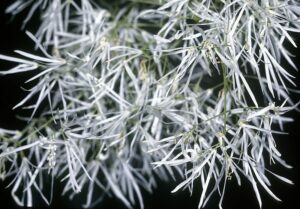 White Fringe Tree, Chionanthus virginicus, is a native American tree best loved for the white flowers in early spring. Baby White Fringe Tree planted 2014 by the Gardening Committee near the north Arboretum Sign… Please wait a few years for spring flowers! A Small Tree which matures at under 25′, smaller than the flagpole or a house. 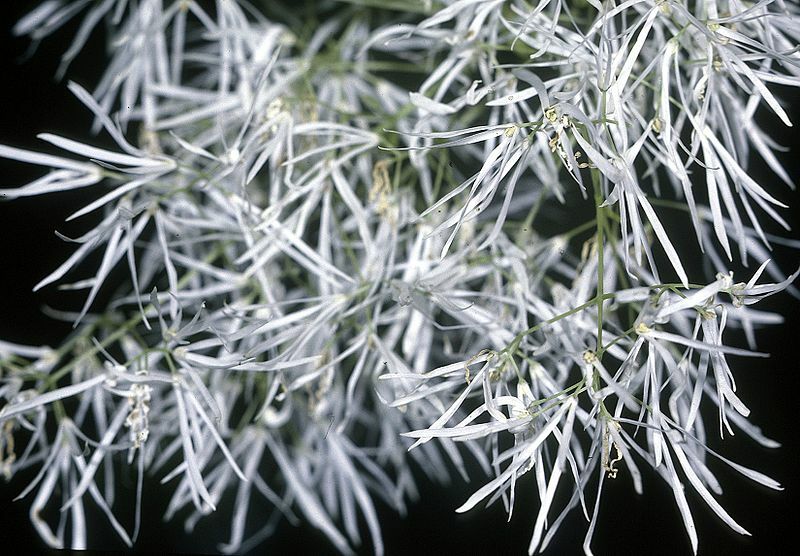 Plant near a deck or patio to enjoy the springtime perfume.